Food and drinks are as close to the stomach as to the heart of the Spanish speaking people and there is a strong social element in the act of eating. It is a nurturing, sharing and caring experience. We, latinos, have lots of ways to refer to a appetising dish. We describe it as: “deliciosa/o” o “espectacular” (delicious or spectacular). I remember from my youth that we used to refer to a delicious dish as, “esta comida está de película”, comparing a delicious plate of food with a great film. We used “de película”, when referring to something of excellence. Unquestionably, some films have put Latino dishes or recipes not only on the big screen but also on the kitchen table of an avid globalised audience, and they become part of the menu of well known restaurants. With summer on its way, the Andulusian Gazpacho, may appeal to a wider number of diners for its refreshing taste and low calories. I believe that no one will deliver its recipe in a more amusing and artistic way than the talented La Ogra, who sings one of her hits, Gazpacho, to the rhythm of Bollywood. La Ogra singing Gazpacho © La Ogra que todo lo logra. To see the official video clip click here. This certainly is a pleasurable way of learning a new recipe in Spanish, whilst dancing in the kitchen. 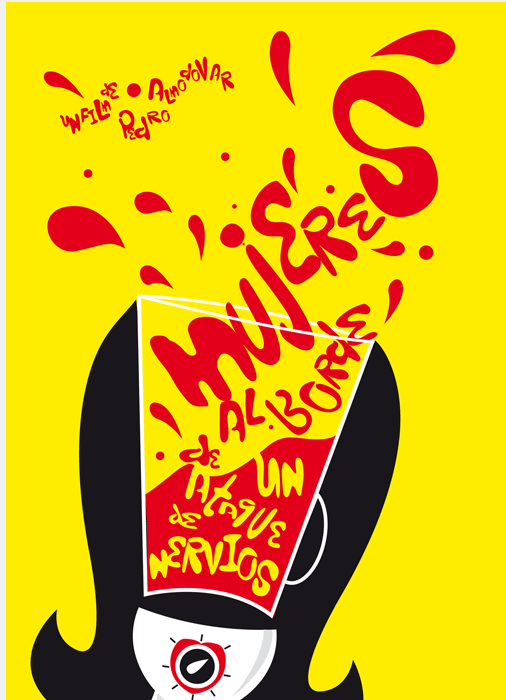 Another detailed description of the Gazpacho recipe is given by Spanish actress Carmen Maura, in the 1988 film Mujeres al borde de un ataque de nervios, Women on the Verge of a Nervous Breakdown, a film written and directed by Pedro Almodóvar. Pepa is a pregnant and devastated woman, who was dumped by her lover. She prepares to overdose, blending pills into a gazpacho but she is prevented from her suicide in a hilarious sequence of events. Poster of the film Women on the Verge of a Nervous Breakdown. To see the video clip referring to Gazpacho click here. This soup made of raw vegetables is a light dish with very few calories. Do not forget to serve it cold. Como agua para chocolate, “Like water for chocolate”, brings magic realism to the kitchen with such excellence. Set in 1910 in the Mexico countryside. The talented Lumi Cavazos, portraying Josefita (Tita) de la Garza, the protagonist of Like Water for Chocolate. 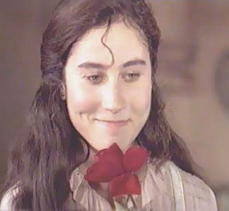 “It seemed that in a strange phenomenon of alchemy, not only the blood of Tita, but her whole being had dissolved in the sauce of the roses, in the body of the quail, in each of the food aromas, penetrating voluptuous, aromatic, warm and completely sensual in Pedro’s body … [Free translation from: Like water for chocolate.]. Cover of the video: Like Water for Chocolate. To see the clip referring to the recipe click here. This beautiful film is based on the novel and screenplay written by Laura Esquivel. 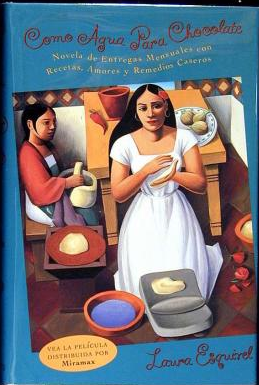 The book is divided into twelve chapters and each one begins with a traditional Mexican recipe. Laura Esquivel believes that the kitchen is the most important part of the house. A couple of recipes may not be enough to show the varied mouth watering dishes of the Latin American and Spanish cuisine. However, I hope this will inspire you to read a recipe in Spanish and to experience a Latino dish or two at home and get immersed in the Spanish language in an entertaining and FUN way. Que interesante! 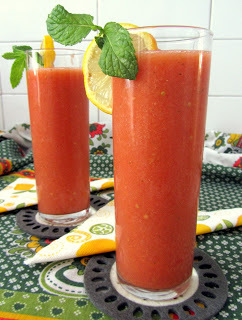 Ahora voy tomar algo fuerte con jugo de tomate! !